Fully independent testing laboratory that guarantees the objectivity of its results. is a quality control laboratory exclusively dedicated to geosynthetic materials. 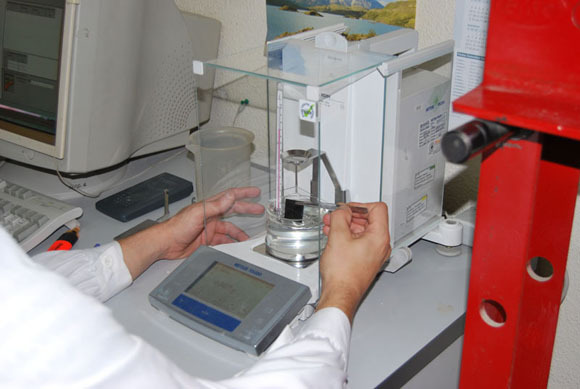 LABORCONTROL GEOSINTÉTICOS is a quality control laboratory exclusively dedicated to geosynthetic materials. Since it was founded in 2004, it has taken part in many works throughout the Spanish territory and has carried out quality control by means of on-site works and laboratory tests. We have experience in the control of more than 40 million m2. LABORCONTROL owns a fully independent testing laboratory that guarantees the objectivity of its results. This makes it possible to offer a high quality, fast and highly reliable service.